Carnegie Hall SOUND OF MUSIC Announces Its "Trio of the Saengerbund of Herwegen"! Normally when one thinks of memorable characters in THE SOUND OF MUSIC, the trio of the “Saengerbund of Herwegen” doesn't usually spring to mind. But when Carnegie Hall presents THE SOUND OF MUSIC in Concert on April 24th, the three singers who are runner-ups at the Festival in the story’s climax will be played by Nicholas Hammond, Heather Menzies, and Kym Karath (respectively, "Friedrich," "Louisa" and "Gretl" in the beloved film version of THE SOUND OF MUSIC.) The film trio will be in New York to promote their new interactive book, THE SOUND OF MUSIC FAMILY SCRAPBOOK, which chronicles their special memories of being part of the iconic and timeless film. They will join Daniel Truhitte ("Rolf" in the film) whose own cameo is as Baron Elberfeld in the Act I party scene, and a group of Broadway, Hollywood and opera all-stars including: Laura Osnes (ANYTHING GOES, Encores! PIPE DREAM) as Maria; Tony Goldwyn (PROMISES, PROMISES) as Captain von Trapp; Brooke Shields (THE ADDAMS FAMILY, WONDERFUL TOWN) as Elsa; Patrick Page (SPIDERMAN: TURN OFF THE DARK) as Max; and Metropolitan Opera's Stephanie Blythe as The Mother Abbess. Also just announced: Mary Michael Patterson as Liesl, Nick Spangler as Rolf and Cotter Smith as Herr Zeller. Also bringing the sound of THE SOUND OF MUSIC to Carnegie Hall will be the Orchestra of St. Luke's and women of the Mansfield University Concert Choir. Rob Fisher is musical director and conductor; Gary Griffin is director; and Joshua Bergasse is the choreographer. David Ives has adapted the libretto by Lindsay & Crouse, complementing the score by Rodgers & Hammerstein. The April 24th performance at the Stern Auditorium/Perelman Stage of Carnegie Hall, is a gala benefit providing support for the music education and community programs of Carnegie Hall’s Weill Music Institute. Honorary Chairs for the evening are: Mary Rodgers Guettel, Alice Hammerstein Mathias, Anna Crouse, Johannes von Trapp, and Ambassador Ernst-Peter Brezovsky, Austria's Consul General to New York. Gala benefit tickets are available by calling Carnegie Hall’s Special Events office at 212-903-9679 or online at carnegiehall.org/thesoundofmusic. Tickets begin at $1500. 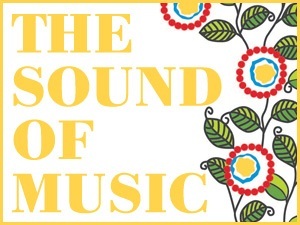 A limited number of premium (concert-only) tickets, priced $55–$200, are currently available at the Carnegie Hall Box Office, by calling CarnegieCharge at 212-247-7800, or online at carnegiehall.org/thesoundofmusic. A portion of all tickets is a tax-deductible contribution. Gala Ticket Information Gala benefit tickets are priced at $1500, $2500, and $5000, and include a VIP pre-concert dinner as well as the best possible concert seating. Gala benefit tickets are available by calling Carnegie Hall’s Special Events office at 212-903-9679 or online at carnegiehall.org/thesoundofmusic. Concert Ticket Information A limited number of premium (concert-only) tickets, priced $55–$200, are currently available at the Carnegie Hall Box Office, by calling CarnegieCharge at 212-247-7800, or online at carnegiehall.org/thesoundofmusic. 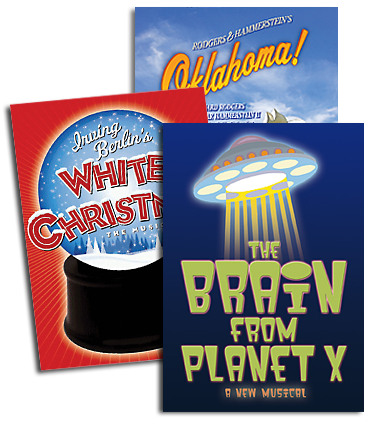 A portion of all tickets is a tax-deductible contribution.